Although California Northstate University has been tight-lipped about financing sources for its proposed for-profit $750 million hospital, documents show at one point they sought help from the City of Elk Grove. That information was revealed from an examination of documents released from a public records request from the city. This information was found in an email sent from Elk Grove's economic development director Darrell Doan to CNU president and CEO Dr. Alvin Cheung on August 2, 2017. The email from Doan to Cheung described highlights from their self-described monthly meeting in July 2017. As described by Doan, CNU "envisions developing an extensive array of medical and educational facilities in Elk Grove over the next 2 to 10 years they are calling 'medical' city.'" Doan goes on to list five main bullet points which include a general hospital with a specialty care facility; consolidated traditional campus; private life/bioscience research park; drug manufacturing plant; and a school of performing arts. While the current plan calls for all of CNU's proposed hospital facilities to be on the site of the current Stonelake Landing shopping center on the southeast corner of Interstate 5 and Elk Grove Boulevard on the city's far west side Stonelake neighborhood, interestingly, the plans at that time called for the hospital to be located in a "center city location." Even though Doan says CNU have "investors lined up to finance construction," he noted Elk Grove taxpayers were being asked to support the project. Doan wrote CNU "Requests that City provides permanent financing through bonds then hires CNU to be hospital operator." Elk Grove city manager Jason Behrmann did not respond to an email request seeking comment if the city had or was still in the process of financing CNU's project. During a community meeting on Friday, February 22, Cheung and his public relations representative, former Elk Grove Mayor Gary Davis ducked questions on how the facility might be financed. Under the general hospital category, Doan also noted that Cheung wanted the city to engage Sutter Health and Dignity Health in negotiations. Both have long-term plans for hospitals in Elk Grove and the notes indicate CNU wanted the Elk Grove officials to advise the two major health care operators if they do not cooperate with CNU, the city would then "advise it [Dignity and Sutter] it plans to pursue its own hospital project with CNU." The document also suggests CNU had been in talks with Kamilos Companies to located the medical facility in Elk Grove's still undeveloped Southeast Policy Area, an area of 1,200-acres. Interestingly, even though it was in talks for a time with Kamilos, as of the Doan-Cheung meeting, CNU was also in the process of purchasing the Stonelake Lands shopping center. Although the for-profit educational institution focuses on life sciences, it also suggested they were interested in a "school of performing arts." Although Elk Grove does not have a performing arts center, Doan suggests if the city were to develop one in the civic center, they are "interested in being the primary user there." City manager Jason Behrmann has issued the following statement: "No. The City is not considering issuing bonds or any type of debt to finance the proposed CNU hospital. Gotta give CNU credit--they know an easy mark when they see one! Of course they would turn to the city for financing. Other than shady overseas cash, what legitimate bank would loan $750 million dollars for a project with a loan-to-value ratio in the negative and a sketchy revenue stream with no health insurance company commitments? Even using their land as collateral, Mr. Drysdale would laugh them out of his office! Makes perfect sense to con the city into using public financing. 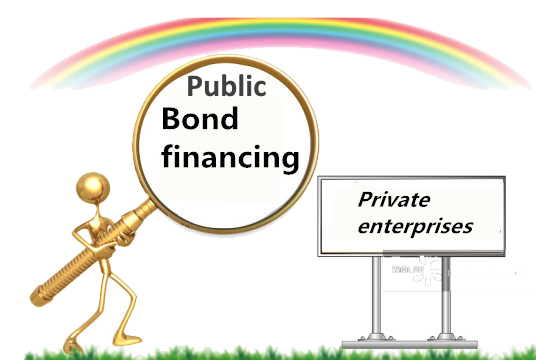 A bond backed by the full faith and credit of the city; lower interest rate; and the city's general fund would be the ultimate collateral. How far our easy mark will go to pay for new jobs is yet to be seen, but strap yourself into your gurney, cuz this ride is gonna get bumpy! If this report from Mr. Doan is indicative of what now is appearing to be a longtime relationship between Dr. Cheung and the city, it seems the city is in a submissive role. They are so desperate for a victory that they would even be willing to entertain an idea of the city issuing bond is stunning. It also appears Mr. Doan is Dr. Cheung's punk, and I don't mean a punk rocker either. How else can you explain Mr. Doan's willingness to entertain the idea that the city tries strong-arming Dignity Health and Sutter Health? In what alternate universe did Darrell Doan ever think that Elk Grove City Council would put up $750 million dollars of collateral for this CNU project by way of bonds? That would be political suicide for all of them. This current Council couldn’t even get a push poll survey of residents to favor a sales tax increase. Can you imagine the outrage if this Council even considered a bond of this nature? Additionally in March of 2018, the Elk Grove City Council approved a 40-million-dollar bond for the future Elk Grove Senior Center, Elk Grove Veterans’ Memorial Hall and Elk Grove Animal Shelter with a 19-million-dollar interest bill attached. Thank you, Elk Grove taxpayers! In reading some of these emails, it appears to this reader that Doan is being a bit pretentious granting himself more decision-making authority than his position actually demands. And by the looks of Jason Behrmann’s quote, somebody's wings are about to be clipped. Well this certainly speaks to the character of Alvin Cheung. @ Eye on Elk Grove: I think you overestimate this council. The residents of EG would have bought all of the hype about the hospital. If NEST hadn't started asking questions the citizens might not have ever heard anything negative at all. I believe Pat Hume was the one who questioned their request. Thank God! He is also the solo vote against giving $1 million plus in "incentives" to that CA Correctional Health (or something near that name) a couple of years ago. I hope he steps up to be Mayor when Ly is forced to resign.